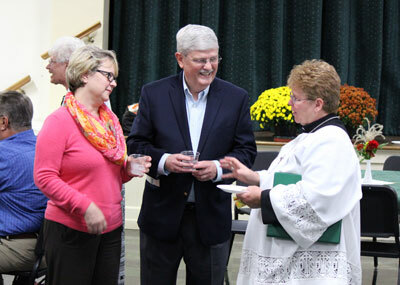 At the Joint Catholic-Lutheran Commemoration of the Reformation, on Oct. 25, almost 80 Lutherans and Catholics joined in prayer. Afterwards, almost everyone enjoyed fellowship and food in Fellowship Hall. Many thanks do out to those on the planning committee: Audrey & Jake Comerford, Cheryl & David Williams, Pr. Aurand, and LSM. 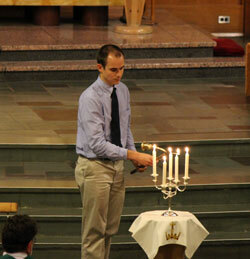 Thanks also to St. Mark’s staff for set-up, printed materials, and refreshments. 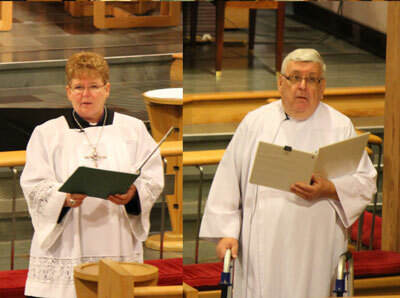 We would like to especially thank the clergy and lay persons who led and assisted with the October 25th service: Monsignor Vincent Grimalia, Diocese of Scranton; Bishop Barbara Collins, USS; Fr. Bert Kozen, Immaculate Conception, Bastress; Pr. 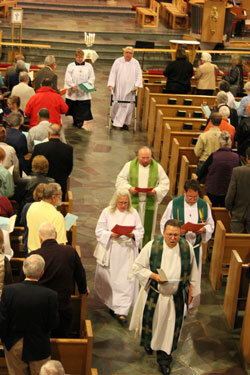 David & Deacon Mary Lou Byerly, Trinity Lycoming Co. Parish & Williamsport Hospital, respectively; Jim Foran, St. Joseph the Worker; Ray Huff, St. Mark’s; Jake & Audrey Comerford, St. Joseph & St. Mark’s; Cheryl & David Williams, St. Mark’s & St. Joseph; and Christian Humcke, Music Director, St. Mark’s.